Many people who are job hunting wonder what kind of job they would fit best in. They want to know what they will be good at and what will fit their personalities. This is especially true for those first entering the job market and those who have recently graduated or will be soon graduating from university. If you want to have a better idea about what type of job you would fit into, you can try taking personality and aptitude tests. An aptitude test is designed to measure your abilities in several key areas. In fact, aptitude tests are often given by employers to assess candidates’ abilities and how likely they are to be able to learn the skills to fulfill the requirements of the job. But you can also take aptitude tests to find out where your strengths and weaknesses lie and how you can match your abilities with a job. Aptitude tests can gauge your ability to solve abstract, verbal, quantitative, mechanical, and spatial problems. Personality tests are designed to assess the likelihood that the person will be a good fit for a job. A test might look at a person’s ability to work in a team environment, or it might assess how a person is likely to act in a specific circumstance. They can also look at how a person thinks, feels, and relates to others. The purpose of a personality test is to figure out if a person’s behaviors will match those needed for the job. This is one of the most easily missed aspects of identifying a good hire. There are many candidates looking for the same job, so it’s very beneficial for employers to use personality tests to help find the right candidates. Taking pre-employment assessments can help you make a good decision regarding your future employment opportunities. If you don’t score well on one portion of an aptitude test, you can still get a job. Some careers require different skill sets than others. For instance, if you’re good at analytical reasoning but do poorly on the mechanical reasoning, you’re just meant for a different type of job. Everyone has their strengths and weaknesses, so don’t feel like employers are necessarily looking for candidates who get top marks in all areas. Taking standardized aptitude tests beforehand can be good preparation for when the time comes for you to take an actual aptitude test for a company. Most people do better when they have practiced beforehand, so you’re doing yourself a favor by taking pre-employment assessments on your own. Personality assessments are designed to figure out if you’re a good fit for the company. While being particularly high on some traits, such as aggressiveness, will likely be frowned on by many employers, not all employers necessarily have the same mold that they’re trying to fill. 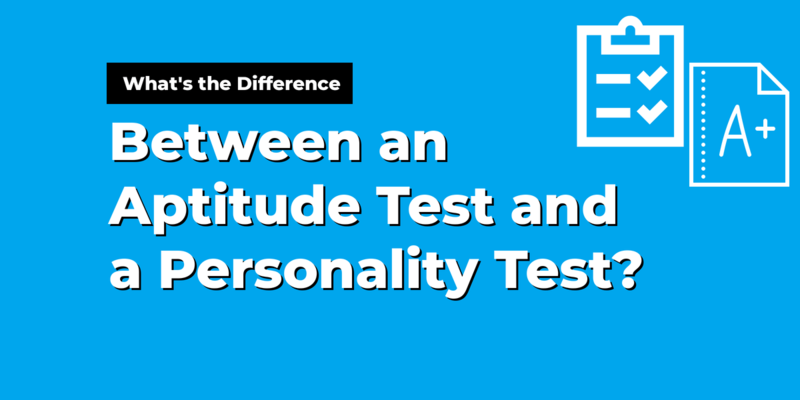 While you can prepare for an aptitude test, you can’t really prepare for a personality test. Just be yourself so that you land in a job that you’ll fit in with long-term. Many people are applying for one job today, and that’s why many employers are using tests to assess the fit and potential growth of a candidate. Feel free to explore job opportunities, but use tests to help you narrow down your career options.